When I make jam or preserves, I’m instantly transformed back to my mom’s kitchen. I can clearly picture her standing over her stove, stirring her latest concoction. Mom’s jam was perfect; not overly sweet, with just the right amount of tartness. But she didn’t make big batches to pass on to others like I like to do. 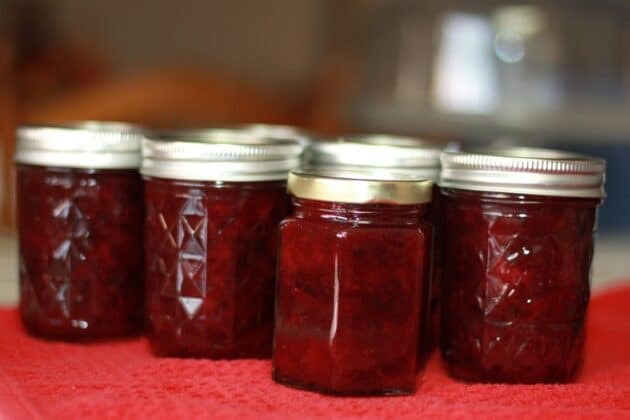 Instead, she would use whatever overripe fruit she had on hand to make a jar or two of her delicious jam. Now, years later, like my mom, I’m known for making jam. This includes favorites like Plum Preserves, Pear-Apple Preserves, and my personal favorite, Strawberry Fig Preserves. 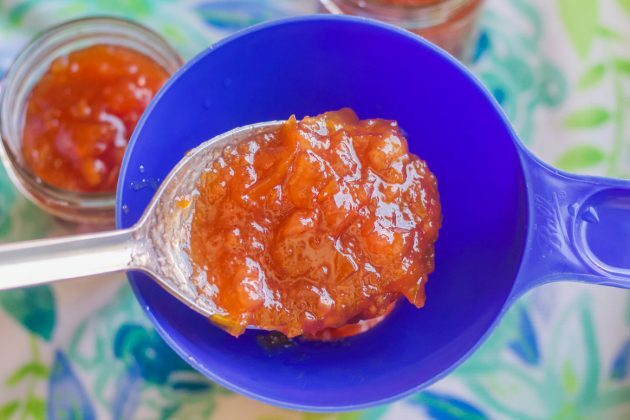 The most unique recipe in this category is definitely the Quince Preserves, while the most popular post is the Persimmon Jam. So grab your jars, and let’s make some jam! The loquat is a delicious, plum-sized fruit that can be picked and eaten right off the tree. However, this unique fruit can also be enjoyed in various loquat recipes. Last night, I had an amazing dinner. I’d ask you to guess what I had, but the odds are stacked unfairly against you. My dinner consisted of perfectly toasted sourdough bread, smeared with butter, and topped with cardamom apple pie preserves. Although you came here to check out my fuyu persimmon preserves recipe, I’d like to tell you a little story first. Today, we’re making persimmon jam. Hachiya Persimmon Jam, to be exact. Although there are other varieties like fuyu, cinnamon, sweet pumpkin and more, this recipe uses hachiya persimmons. Have you ever wondered what the difference is between jam, jelly, and preserves? I know I have! For that reason, I sit here considering what to name this recipe; quince jam, or quince preserves? One thing I am certain of, it’s not jelly. Let’s take a look at some of the differences. Plum Preserves is quite easy to make. 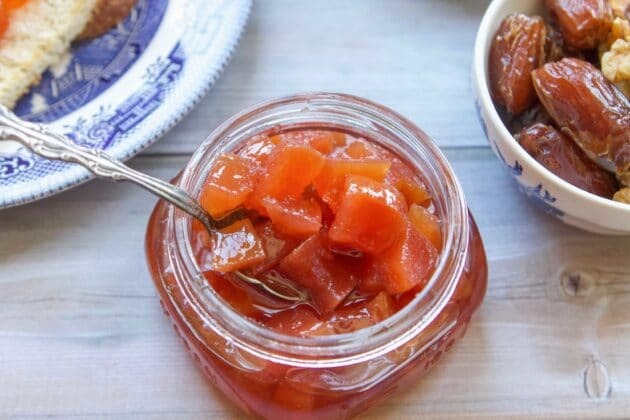 You can take some not-so-beautiful plums and make some gorgeous preserves with them. Follow along this easy recipe to learn how!